On 8th May 2019, Future Climate Info (FCI) are making some changes to their commercial reports to help speed up transactions - particularly those with a Retail purpose. ‘FCI Standard Commercial’ and ‘FCI Premium Commercial’ are being withdrawn – and are being replaced with the following new reports: ‘FCI Retail’ and ‘FCI Commercial’. The FCI Retail Report is available for smaller retail properties - up to 0.25 hectares. It includes remediation warranty and is also supported by £5 million professional indemnity cover. It interrogates flood, environmental and ground stability datasets. Analyses the impacts from key risks listed by The Law Society including Flooding from Rivers, The Sea, and Surface Water Flooding, Groundwater Flooding Susceptibility, Historic Flooding, Flood Insurability, Flood Storage Areas, and nearby Surface Water Features. Analyses the impacts from key risks including Artificial Ground, Contaminated Land Insurability, Contaminated Land Register Entries and Notices, Current Industrial Land Uses, Environmental Permits, Petrol Stations, Landfill Sites Past and Present, Telecommunications Transmitters, Potentially Contaminated Land from Past Industrial Land Uses, Pollution Incidents, Air Quality, Potentially In-Filled Land, Pylons and Electricity Lines, Radon Gas, Regulated Environmental Processes, and Surface Dangers or Hazards. Analyses the impacts from key risks including Subsidence, nearby Ball Clay Mining Areas, Brine Compensation Areas, China Clay Mining Areas,Coal Mining Areas, Geohazards such as Clay Shrinkage, Landslips, Landslides and Sink Holes, Limestone Mining Areas, Past Mining Hazards in Minerals other than coal, Modified Ground, Natural Cavities, Potentially In-filled Land and Tin Mining Areas. The FCI Commercial Report is aimed at other commercial and industrial units. Available in size brackets ranging from 0-15, 15-50 and 50-150 hectares. It is backed by £10 million professional indemnity cover and comes with expert support from FCI’s Risk Team. It contains all of the information from the Retail report and also includes data on Energy & infrastructure such as wind farms, shale gas exploration, and HS2. Analyses the impacts from key risks including Carbon Capture and Storage, Coal Bed Methane Extraction, Crossrail, Current and Future Hydropower Installations, Gas Recovery from Mines, HS2, Licensed Oil, Gas, and Shale Gas Exploration and Extraction, Major Energy, Environmental, and Transport Infrastructure, Power Stations, Solar Farms,Underground Coal Gasification and Wind Farms. Following on from our blog post about the annual round of price increases from the Water Authorities, Coal Authorities and Local Authorities, we just wanted to remind you that Anglian Water are changing their prices on 1st May 2019. These changes will be automatically implemented on the tmconvey platform, and will be reflected in any new orders as the changes take effect. Will you be at our Spring Breakfast Property Seminar? Terry Jones Solicitors will be hosting a Spring Breakfast Property Seminar this May - in conjunction with tmgroup, Terrafirma and Howden - exploring the many and varied risks posed by the ground, alongside important changes to environmental due diligence in property development and purchase. Learn more about the new chapter in the Conveyancing Handbook, the best ways to inform clients about ground hazard risks – and more! Following breakfast at 8am, the seminar will begin at 8.30am. • The new chapter in the Conveyancing Handbook reflecting the physical, legal and financial liabilities posed by ground hazards. • Real-life case study examples highlighting the importance of identifying ground hazards. • Advice on informing your clients about ground risks and how to manage them. • PI Insurance and how to achieve the best renewal terms in the current market. There will then be a brief networking session – before the event closes at 11am. • Clare Yates: Senior Business Development Manager for tmgroup with over 25 years of experience in the property industry. • Tom Backhouse: Award-winning geologist, entrepreneur and the CEO and Founder of Terrafirma, who specialise in the innovation and provision of environmental risk assessment and land information in the property, land, finance, insurance and public sectors. • Jenny Screech: Consultant with Howden UK Group Ltd, supporting their professional indemnity insurance (PII) proposition for solicitors and other legal professionals. **By sending your RSVP to Terry Jones Solicitors, you are agreeing to share your details with tmgroup, Terrafirma and Howden UK Group Limited. If you would not like to share your details with these companies, please ensure you add a note in your email opting out. 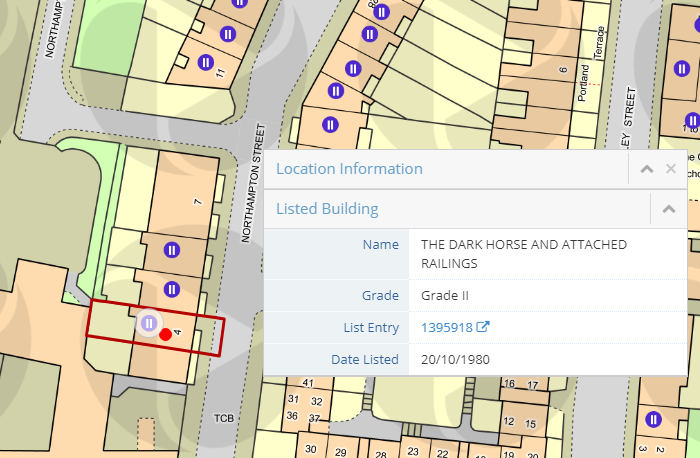 We’re adding a new listed buildings data layer to tmconvey. Available from 5th April 2019, you’ll soon be able to give property developer clients much-needed context about their intended renovation projects – without needing to visit multiple websites. As with our recently added highways information, you’ll be able to turn on the data layer and see listed buildings overlaid on your existing map – for Grade 1, Grade 2* and Grade 2 across England. As of 2nd May, this will be extended to listed buildings in Scotland and Wales too. You can then find out more about a listed building of interest by clicking on it to generate a pop-up, which will give you the address and the grade, as well as provide a hyperlink that will take you direct to the relevant page on Historic England. This will enable you to read further information about the restrictions in place, if you wish. How do I turn on this new data layer? 5. If you scroll down, you will see a new section called ‘Map Data Layers’ – and various options to choose from including the new ‘listed buildings’. 6. Once you have settled on your choice, click ‘Save’. What other changes have we made to our mapping? 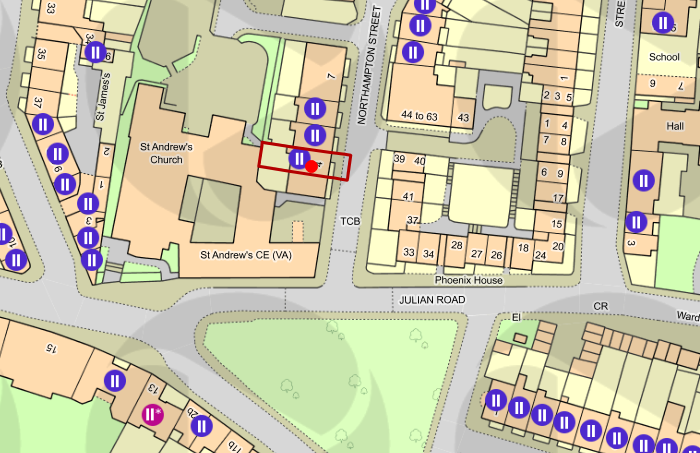 The addition of ‘listed buildings’ data is the latest in a series of mapping enhancements. Here’s a quick summary of the last few months, just in case you missed anything. Exciting news… Even more Map Search updates to save you even more time! From 5th April 2019, ‘Mine entry interpretative’ and ‘Subsidence Claims 50m buffer’ reports from the Coal Authority will be available to order via tmconvey under ‘Coal Mining’ – if a Coal Authority CON29M has already been ordered and returned. This will replace the current email ordering process. As you may already be aware, some Local Authorities are merging from 1st April 2019. However, we’d like to take this opportunity to reassure you that we are working closely with the relevant Local Authorities to make sure all of our processes behind the scenes continue to run smoothly, so you can continue to place your orders in the same way. Weymouth & Portland, West Dorset, North Dorset, Purbeck, & East Dorset. These 5 districts will be merged into a single ‘Authority of Dorset’. These 3 districts will be merged into 1 called ‘Bournemouth, Christchurch and Poole’'. These 2 districts will be merged into 1 called ‘West Suffolk’. These 2 districts will be merged into 1 called ‘East Suffolk’. These 2 districts will be merged into 1 called ‘Somerset West & Taunton’. The Water Authorities, Coal Authorities and Local Authorities have advised of their annual round of price increases – taking effect on 1st April 2019. Which Water Authorities, Coal Authorities and Local Authorities are changing their prices? We’re working closely with the Water Authorities, Coal Authorities and Local Authorities to ascertain exactly which authorities are increasing their prices and what these new prices will be – and will continue to keep you updated as more information becomes available. The following Water Authorities have confirmed they will be changing their prices on 1st April 2019. The following Water Authorities have confirmed they will be changing their prices on 1st May 2019. Please be aware, Wessex Water and South West Water have advised that they are not changing their prices this year. The following Coal Authorities have confirmed they will be changing their prices on 1st April 2019. The following Local Authorities have confirmed they will be changing their prices on 1st April 2019. First Title are adding new insurance provisions to their Residential Title Insurance - available from Friday 1st February. Each of these can only be selected on its own as a standalone policy. They should not be selected alongside other risks as part of a multi-risk quote.